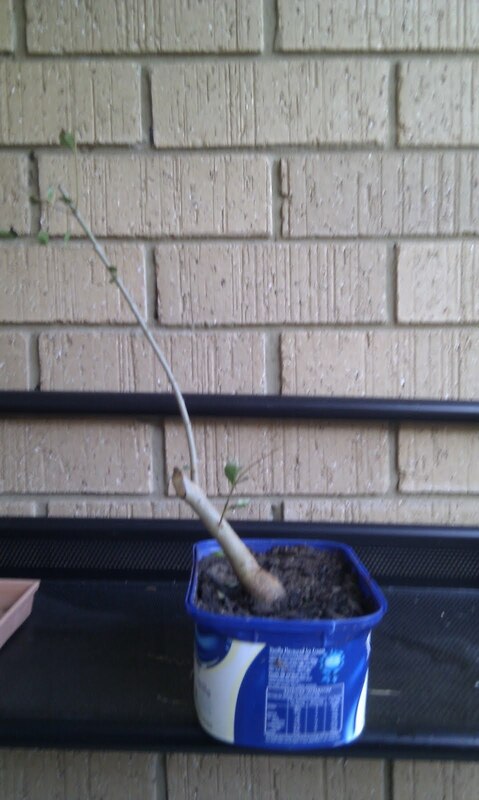 At the time it had absolutely no roots on it but hey it was free... So I grabbed an old ice cream container put some holes in the bottom of it and potted it up. I'm not sure what the soil mix is, just whatever my father had at the time, it is very sandy though. 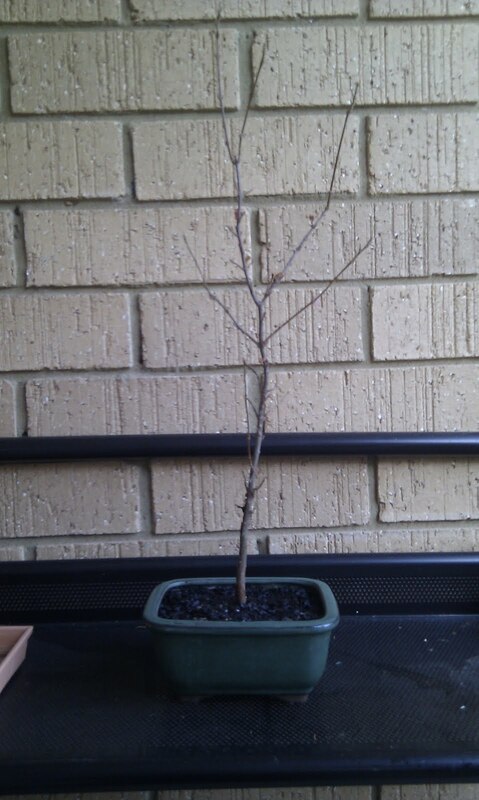 I don't know what its survival chances are but I hear Privets are pretty hardy so we will see come warmer weather. 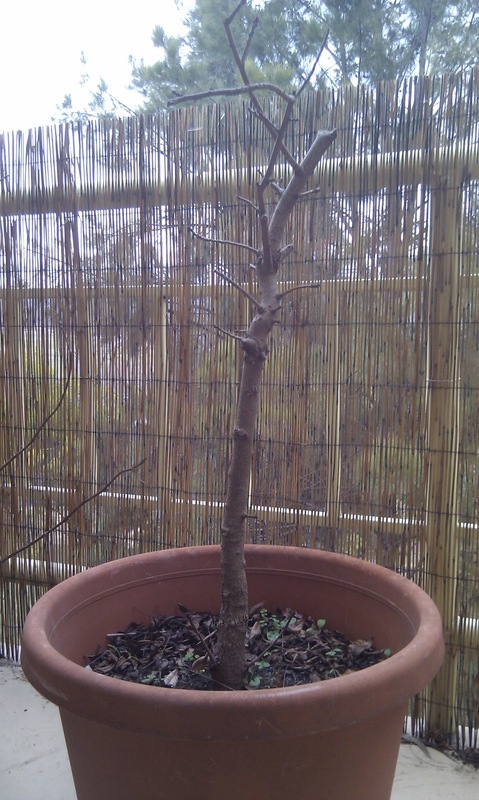 Here is my Chinese Pistachio which was given a trunk chop on 07/08/11. I have left the two lower branches on in the hope of fattening the base and the shoot at the top will hopefully draw energy up the tree to prevent massive die back. Eventually I plan to shorten the tree further, however, I have very little experience with this type of material and I'm not sure how it will react so I will let it recover from this and see where we stand. I got this Trident Maple in the middle of summer 2010 from a friend who had forgotten to water it for what I assume was a fair while as it had lost all its leaves and the soil was bone dry. Unfortunately I don't have a photo of it from this time, I thought it would die. 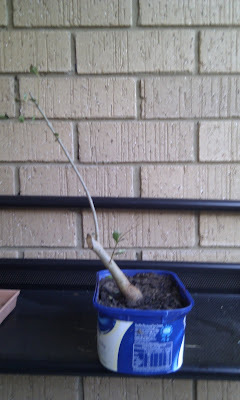 Here it is after I gave it a good bath in Seasol and left it in a shady spot to recover for a little while.